Go to any UT library, pull a book off the shelf, open the front cover, and you’ll find it. Run afoul of the University police (well, hopefully not! ), and you’ll see it on the shoulder patches of their uniforms. Stroll into the Gregory Gym annex and you can see it inlaid on the floor. It’s printed on every UT degree, carved in limestone on campus buildings, and displayed prominently on the Main Building for commencement. 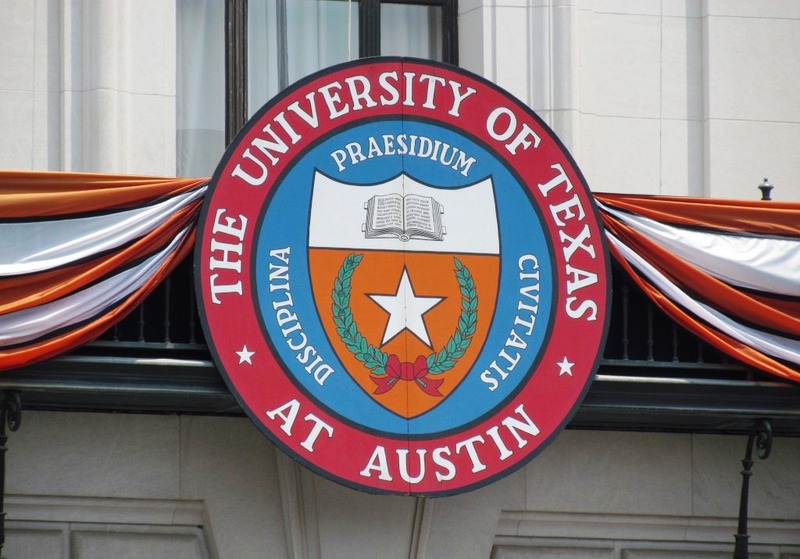 It’s the official seal of the University of Texas. What we think of as the modern university made its first appearance in 12th century Europe as a well-organized union of teachers and students. It was an “academic guild,” similar in many ways to the trade guilds that were an important part of medieval towns. An aspiring tradesman would learn his craft first as an apprentice, and progress to a journeyman. When he had fully developed his skills, his final test was to produce a “masterpiece,” usually an object that showed his best skills and all that he had learned. If it passed inspection, he was declared a master tradesman by his peers and allowed to teach others. Academic degrees grew out of this same process. But instead of a masterpiece, a modern-day Ph.D. candidate writes a doctoral dissertation and defends their thesis in front of a faculty committee. From the beginning, academic insignia and dress were an integral part of university culture. Congregations, lectures, examinations, and graduations all included ritual words, objects, music, and required forms of dress. A scepter or mace carried by the rector identified him as the leader of a university, graduating doctors often received gold rings with their degrees, and hooded capes, which evolved into the modern cap and gown, were worn to identify university members to the public, with special colors and designs for both students and teachers. 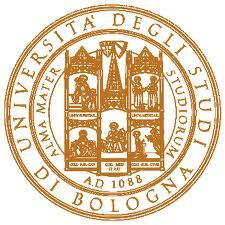 The most prized symbol of a university was its seal. Only granted by a pope or monarch, the seal officially recognized a university as a corporation that could conduct legal affairs, and whose members had special rights and privileges different from ordinary townsfolk. The seal was so valuable, often the original carving was kept in a special chest with a triple lock, and several university authorities were required to be present to open it. Early university seals were usually intricate, elaborate designs: a student at a desk reading a book, the rector in academic garb holding a mace, or an image of a saint special to the university. A Latin inscription, the “motto,” was almost always included, and was sometimes considered the most important part of the design. Later, as knights were permitted to have seals that resembled their personal shields, university seals began to sport coats of arms of their own. 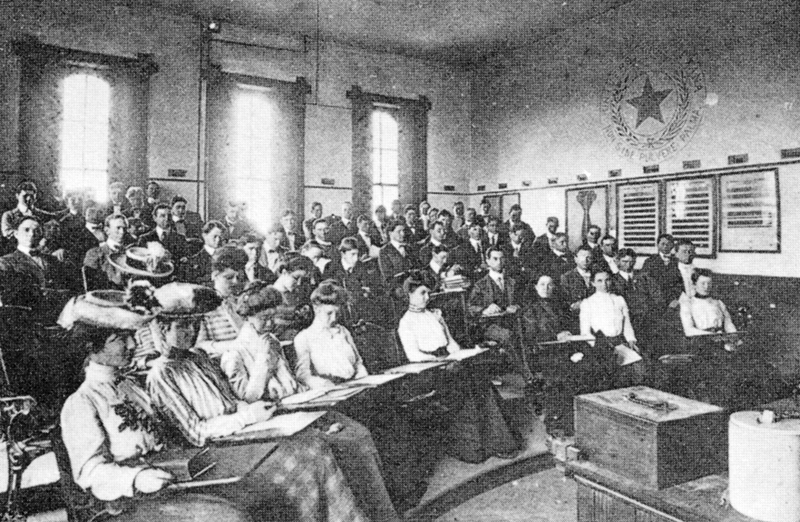 In November 1881, the newly-appointed Board of Regents of the University of Texas convened in Austin for its inaugural meeting. Among the many items on the agenda, a sub-committee of the Board was asked to create a seal for the university. They completed their task in a single afternoon. Money was set aside to purchase an embossing stamp, but the University seal wasn’t very popular. Its use limited to decorating degrees and a few other official documents, though a mural of the seal was painted on the wall of the history lecture room in the old Main Building. (See photo above, on the wall to the right. Click on the image for a larger version, and did you notice that all of the co-eds sit toward the front?). Battle was thorough. He purchased books on heraldry, and requested copies of seals from universities across the U.S. as well as from Oxford and Cambridge in England. At his own expense,Battle hired a leading firm in heraldic design – the Bailey, Banks and Biddle Company of Philadelphia– as consultants and to sketch prototypes according to his directions. The process went through several versions, all of which are still preserved in the UT archives at the Dolph Briscoe Center for American History. Battle himself changed the motto to Republic of Texas President Mirabeau B. Lamar’s famous quote, “A cultivated mind is the guardian genius of democracy,” which at the time regularly appeared on the inside covers of most University publications. Battle’s Latin translation of Lamar was Mens Instructa Civitatis Custos, but this sounded a bit clunky. Instead, Battle conferred with friend and colleague Dr. Edwin Fay, head of UT’s Latin Department, who suggested, Disciplina Praesidium Civitatis. Battle presented his seal to UT President William Prather in 1903. 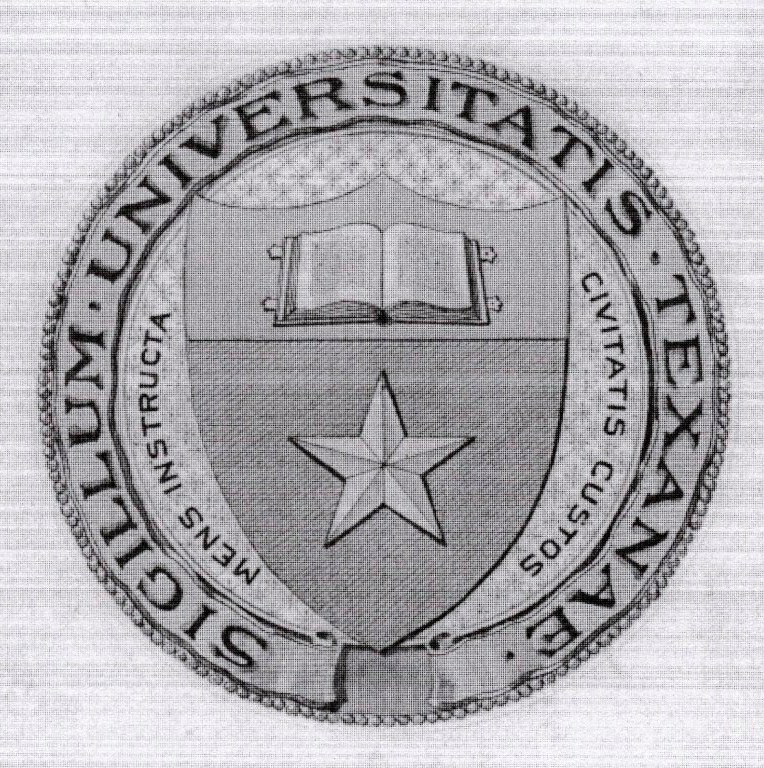 Two years later, on October 31, 1905, the Board of Regents officially approved Battle’s proposal, though the words, Sigillum Universitatis Texanae, were changed to the English, “Seal of the University of Texas.” Within a year, the new seal appeared on library bookplates, invitations and programs of University events, and, of course, diplomas. Images: The Seal of The University of Texas at Austin; Seal of the University of Bologna, Italy, among the earliest of European universities; the history lecture room in the old Main Building, from the 1900 Cactus yearbook; an early version of the UT seal, found in the William J. Battle Papers, Dolph Briscoe Center for American History. This entry was posted in Uncategorized and tagged Battle, Jim Nicar, seal, Texas, University by jimnicar. Bookmark the permalink.